The Gulf of California is known globally for its impressive and diverse marine life. More than 300 estuaries, lagoons, and other wetlands dot the coast, and the region represents one of the most productive fishing areas in the world, accounting for about 75% of Mexico’s fish catch by volume. While the Gulf is a fairly intact ecoregion, its high diversity of environments, ecological processes and organisms are under pressure from countless human activities. Since the mid 1990’s, the Packard Foundation has been a primary source of support for the establishment of a network of protected areas and the conservation of critical coastal sites in the Gulf. 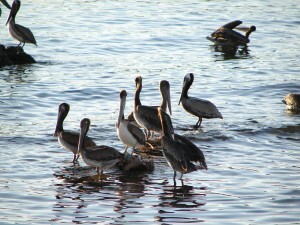 In 2011, FOS completed an evaluation of the Foundation’s Gulf of California Subprogram. The evaluation helped determine the extent to which the Subprogram had met its stated goals and objectives, using results chains as a tool to understand and evaluate the theory of change under which the Subprogram was operating. These results chains are helping to inform the Foundation’s ongoing support to the region, as well as the work of other donors.